Environmental changed requires organizations to adapt. Organizations must integrated both internally and innovatively. The quality of education in educational institutions affects the quality of education nationally. Where the quality, determined by the students, lecturers, curriculum, learning strategies, media, infrastructure, time, availability of funds, community and socio-culture. Thus, every educational institution was no exception Institute of Economic Science Kridatama Bandung needed a new learning strategy. STIE Kridatama Bandung Campus Majority of student employees were required to receive higher education by companies and institutions where they work, then there must be problems as follows: a) Lazy learning, b) No concentration when lecturers explained, c) Passive students when lecturers explained, d) Own discussion with other friends, e) Gain low grades, therefore special handling needed to address such issues with innovative learning strategies such as jigsaw. The research method used was qualitative approach through observation on 84 students with the provision of UTS and UAS tests for their interest in learning. From the results of research implementation, the learning done by lecturers through jigsaw strategy, student activity showed there was improvement. Thus, the lecturer's learning process and learning strategy of one unity can not be separated. In conclusion, that lecturers and learning strategies were needed in supporting the learning process in universities to achieve quality education. FAJARIANA, Dewi Endah. Strategi Jigsaw Dalam Meningkatkan Minat Belajar Mahasiswa Pada Semester Ganjil Program Studi Manajemen STIE Kridatama Bandung tahun 2017-2018. 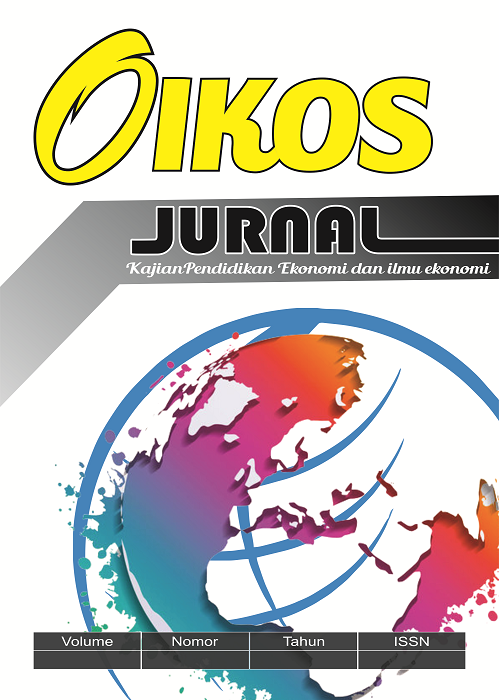 OIKOS: Jurnal Kajian Pendidikan Ekonomi dan Ilmu Ekonomi, [S.l. ], v. 2, n. 2, p. 101-109, july 2018. ISSN 2549-2284. Available at: <http://journal.unpas.ac.id/index.php/oikos/article/view/1031>. Date accessed: 25 apr. 2019. doi: http://dx.doi.org/10.23969/oikos.v2i2.1031.